The AAA is calling on the NHTSA to allow adaptive driving beam (ADB) headlights on roads nationwide, a technology that is already available in Europe. Days before a West Warwick woman's husband died of cancer, he changed his power of attorney to one of his relatives. The relative withdrew everything but a few dollars. 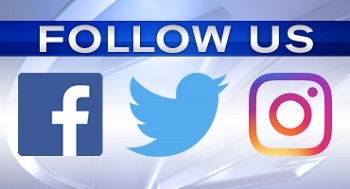 The social media giant says more than 160 million people connect with small businesses on Facebook every month. An estimated 1.2 million people who did not file a federal tax return for 2015 are owed money but must claim it within three years of the original filing deadline, or it will become property of the U.S. Treasury. Similar legislation has faced significant opposition from the banking industry in previous years. Kayla Brown and her young son were not at home last month when fire raced up the side of their apartment in Woonsocket. To date, 273,974 refunds have been issued and the average refund is $589.29, compared to $563.55 for the same time last year, according to the R.I. Division of Taxation. According to the FBI, there are no national statistics on how often the crimes happen, but the agency believes a significant number of virtual kidnappings for ransom are going unreported. For decades, the FAA has delegated some authority for certifying new aircraft to the manufacturers themselves, reducing government costs and, defenders say, speeding the rollout of new models. "The whole goal is to allow the seniors to continue to use their facility and have the kids have a much cleaner and a much more efficient, centrally located facility," Mayor Bob DaSilva said. For children and young adults with autism, learning social skills is an important way to feel connected to their peers and the community. At 24, MacFarlane became the youngest showrunner in television history when his animated series “Family Guy” aired on FOX. Want to Volunteer with our Call 12 For Action Team?